Think warm fires, falling leaves and winter spices and you’ve got this colour perfectly. Burnt orange is a great shade to add warmth and richness to your outfit and is brilliant this time of year with its autumnal conotations. It’s a great shade to stand out from your everyday blacks and browns to really make a statement. 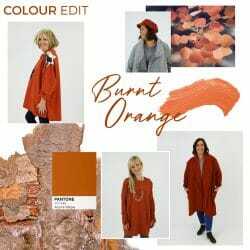 We love burnt orange coats, knits and top, or, if that feels like too much for you, why not try a more subtle approach with burnt orange accessories such as hats and scarves. So grey is a key colour in everybody’s wardrobe all year round, but it is massively on trend this season. 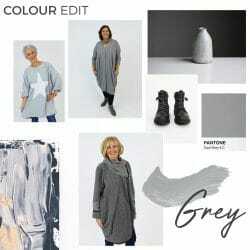 Probably one of the most versatile colours, grey can be paired with so many other shades, from bright pinks and wine to leaf greens and mustard. We love layering grey and using it for basics such as tees and skinny jeans, but it also works great for other everyday winter items like chunky boots and coats. Who said khaki is just for summer? This colour is one of our all year round favourites! Khaki is the perfect colour for tailored styles and chunky knits with its military heritage. 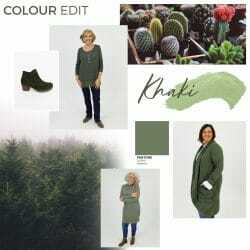 Get back to nature with this rich green hue and add rich browns and russet reds to complete the look. How will you wear khaki this season? Navy is one of the most classic colours and is timelessly stylish and elegant. This deep rich colour is a wardrobe essential and pairs perfectly with tan and white. Move away from black this season and try this softer hue against your autumn pieces, we promise you won’t regret it! 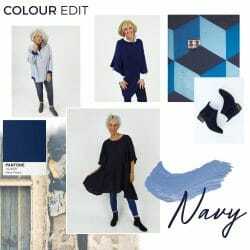 Wether you choose a navy dress, jeans or a shirt you can also use navy in your accessories with navy boots, bags and ponchos. Show our team how you are wearing your new season colours on Facebook, Twitter and Instagram. 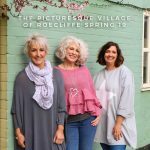 Simply post your picture online and tag us!